Skanda shasti means trimph of lord Subramanya over the evil sura padma.Kantaswamy, The son of lord Siva killed the demon sura padma with his holy spear(vel) and brought relief and joy to the suffering demi Gods and humanity. Metaphorically, the vel symbolizes Jana sakti (Power of wisdom) of the lord and Sura padma symbolizes the demon of ego and ignorance with in us. Lord Kantha is hence considered to be the personification of wisdom itself. Kantha Sasti is important fast (Viratham) dedicated to Lord Muruga. It is observed in the Tamil month of Aippasi, after Deepavali (October - November) and most devotees fast during the 6-day period. There are two Shastis in a Hindu lunar month. One Shasthi after Amavasai and another after Pournami. The Shasti coming after Amavasai (new moon night) is the one meant for fasting. In simple terms, the Shasti coming during the increasing or growing phase of the moon. There is no common method of Kanda Sasti fasting. Different devotees observe it differently. But there are some basic rules followed by all the devotees.Non-vegetarian food is completely avoided during the period. Most devotees also visit Skanda temples during the period. During Kantha Shasti fasting, some devotees only take a single meal a day. Some take the meal at noon and others at night. Some devotees take only fruits and juices ,coconut water and lime juice,during the 6-day period. Devotees can observe fasting on the 6th day if they cannot observe fasting on all the 6-day period. The five days prior to skanda shashti are days of severe austerities for the devotees of Muruga. The fasting ends on the Sixth day. 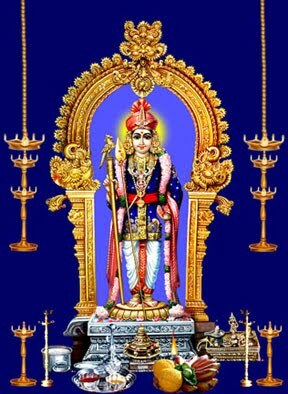 The day after skanda shashti is celebrated as Deva sena Kalyanam. This is celebrated with great enthusiasm in all murugan temples. Satiyil irundha agapayil varum(சட்டியில் இருந்தால் அகப்பையில் வரும்), this proverb is mostly misunderstood like only if something is there in the vessel it would come in the spoon.Actually the proverb means if u follow sasti viratham one would concieve. sasti viradhamirundhal agapail(uterus) varum. சஷ்டி விரதமிருந்தால் அகப்பையில் (கருப்பையில்) வரும் . Those who cannot keep sashti viratham everymonth can keep this kandha sashti viratham. இன்றைய தினத்துக்கேத்த பதிவு அருமை..நானும் கந்த சஷ்டி விரதம் இருப்பேன்..நன்றி! !